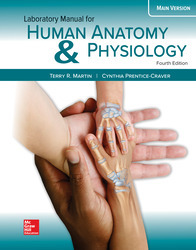 The Martin Lab manuals are not associated with any one text and were created for use with any anatomy and physiology text. The manuals also feature incredible artwork and photos. * These exercises are available in theeBook via Connect Anatomy & Physiology and also online for instructordistribution; see Instructor Resources via Connect Library tab.